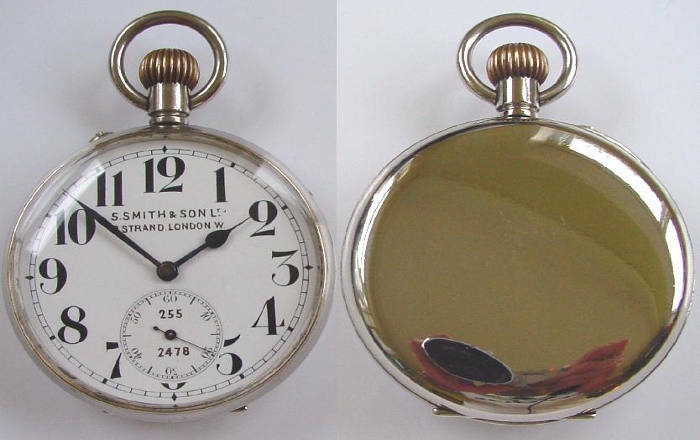 A large number of pocket watch collectors focus on railroad watches because they are such high grade timepieces. Railroad pocket watches are specialised timepieces that were fundamental to the timely running of rail services for many years. The great train disaster in America in 1891 was due to a faulty timepiece. Since then, all American railroads adopted higher standard timepieces, which is why they are highly collectible today. We understand the high value and prestige of the railroad pocket watch warrants exceptional care and attention. A railroad watch is defined as one used on the railroads that met the general time service requirements that were in effect at the time it was built. It became known as “railroad standard.” Our Master Watchmaker is dedicated to bringing the same high standard to any vintage railroad pocket watch repair. Whether you have a Hamilton, Waltham or Elgin railroad pocket watch, our expert Watchmaker is a specialist in the repair and restoration of any make of railroad pocket watch. Vintage pocket watches are our speciality. If you have a family heirloom or a collector’s item pocket watch that needs some attention, our Master Watchmaker is an expert in their repair, restoration and refurbishment. Our expertise in railroad pocket watch refurbishment is part of our dedicated service to preserving the magnificence of the vintage pocket watch. We take great pride in bringing antique pocket watches back to life. For every pocket watch we repair, our goal is the same. We want to return your antique pocket watch to its best possible condition. Antique railroad pocket watch repair and restoration is carried out in our on-site watch repair workshop. We are proud to offer such a dedicated service. Our Master Watchmaker loves to work on railroad pocket watches, because they originated as such high standard pieces. Bringing them back to life is an absolute privilege. We will take care of your railroad pocket watch from start to finish, and carry out repairs and restoration work with the utmost sensitivity and expertise. We are confident you will be delighted with the results, but for peace of mind we offer a minimum 12 month guarantee for all work undertaken. You can ship your timepiece to us from anywhere in the UK using our Royal Mail Special Delivery FREEPOST service. Your railroad pocket watch is insured for up to £20,000 throughout its postal journey. That’s from the moment the package leaves your hand to when it is posted back to you. We will discuss any work required and the costs before we carry out the repairs. Railroad pocket watch refurbishment with W.E. Clark couldn’t be easier. We would love to repair any railroad pocket watch from around the world. Outside of the UK you will have to organise shipping, other than that you can expect the same exceptional repair service. Feel free to bring your timepiece into our Lewes showroom. We would love to meet you and discuss your vintage railroad pocket watch repair requirements with you. Please do not hesitate to contact us with any queries regarding our railroad pocket watch service, or fill in the FREEPOST Envelope Request Form.